Looking for fresh apps for your iDevice? We’ve found 43 great iPhone, iPad and iPod touch apps that were released over the last 24 hours. 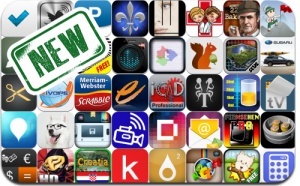 This new apps alert includes GoNinja, Spread Out 3D, Fever Frenzy, Jumping Pets, Cleverbot, Eastview, Scrabble Dictionary, Good Sort, Split Camera, Calc Mini, Thinking of You, and many others.